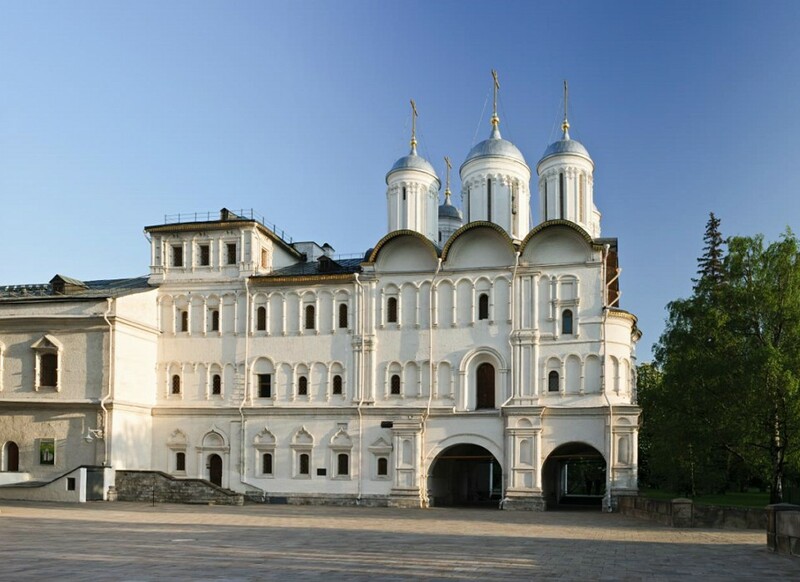 The Patriarch's Palace is one of the best and rarest monuments of Moscow mid XVIIth century's civil architecture. The Palace was erected in 1653-1655 by Russian masters on Patriarch Nikon's order on the place of more ancient constructions of the Metropolitan and later Patriarch's Estate in the Moscow Kremlin. 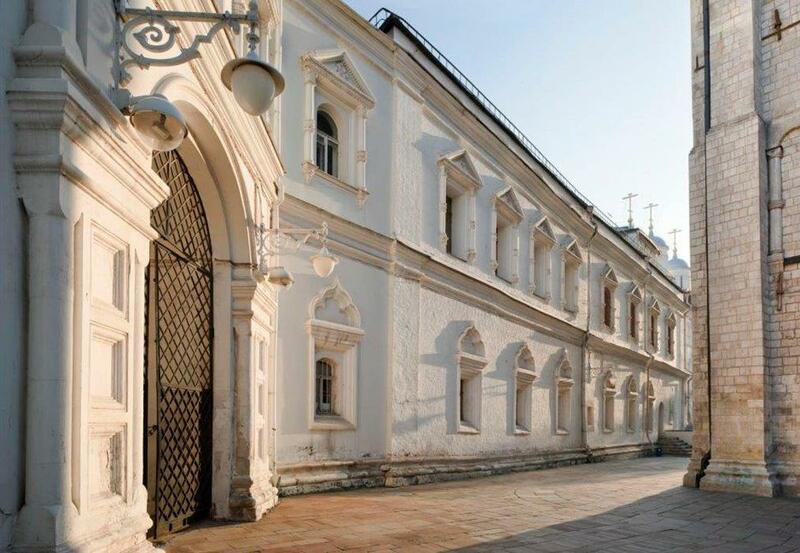 Nowadays, the Patriarch's Palace is one of Moscow Kremlin Museums. The tremendous three-storey building touches the northern side of Cathedral Square. The Patriarch's Palace is an entire architectural unit. The home Twelve Apostles' Church placed on high archway is melt into the construction to complete the architectural entity. On the palace's ground floor there were household services, the second floor housed living quarters of the Patriarch. The ceremonial chambers were located on the first floor. 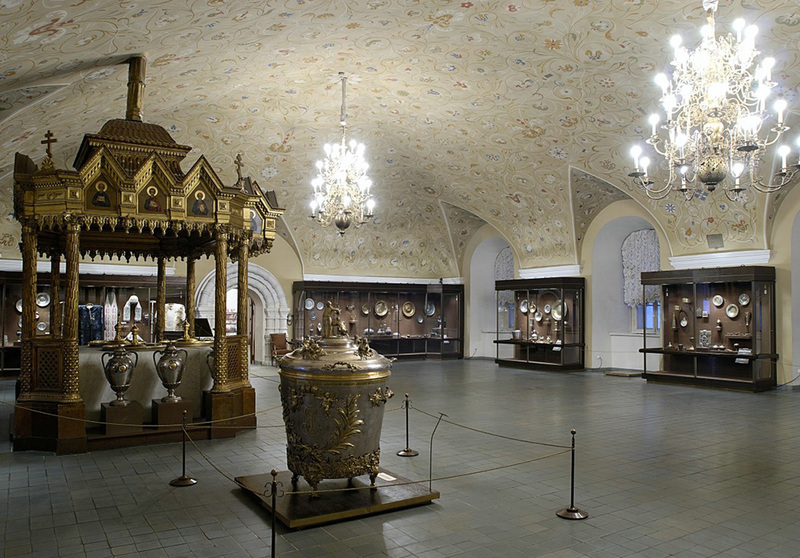 The main ceremonial room was the Cross (or Chrism) Chamber where the meetings of the Holy Council and tsar’s and ambassadorial feasts were held. 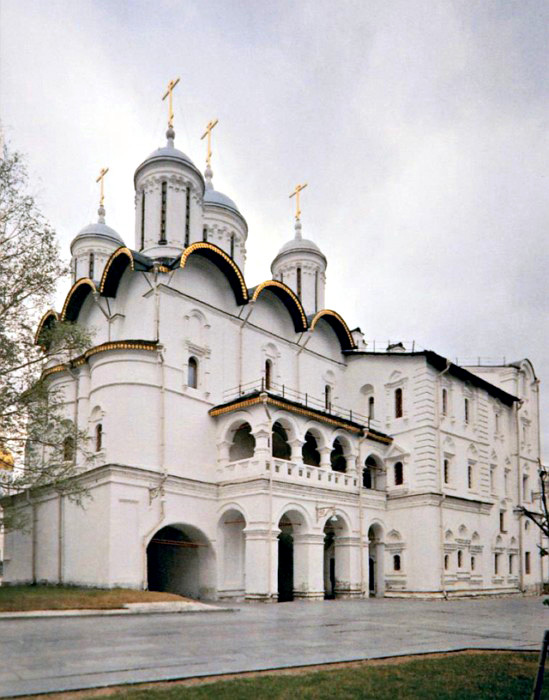 In XVIII-XIX centuries, Moscow Synod Service was situated in the Patriarch's Chambers. Of special interest is the palace's Cross Chamber, a ceremonial reception hall of Patriarch Nikon of 280 sq.m. area covered with a closed vault with no support, which was an innovative achievement in the Russian architectural practice of that time. The Cross Chamber became a model to be followed in construction of large monasteries' refectories and played a key role in recognition of the open hall area's beauty. The exposition on the Palace's ground floor explores the history and peculiarities of the Russian culture through the XVIIth century. Precious housewares, jewelry, ceremonial hunting equipment, ancient furniture and items of ecclesiastical embroidery presented here were created by masters of Russia, European and Eastern countries. The majority of items were made in national traditions by Russian masters of Moscow Kremlin Workshops and masters from Jaroslavl, Kostroma and other towns.